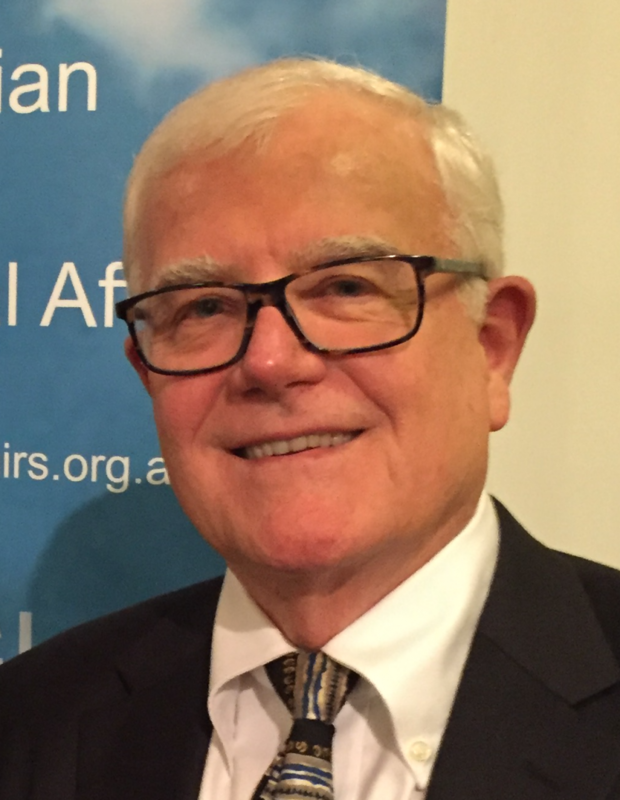 Ian Lincoln has been President of the Australian Institute of International Affairs, New South Wales, since December 2017. He was vice president from 2015 to 2017 and a member of the AIIA NSW council from 2013. He is a member of the AIIA national conference organising committee and has previously also been on the Outlook commissioning editors group and the programming working group. He was a member of the AIIA Victoria council from 1993 to 1997. Ian was in the Department of Foreign Affairs from 1967 to 2000 with postings in Asia, the Pacific, Africa and Europe. Policy work in Canberra included South Asia, South East Asia, the Middle East, arms control, the United Nations, and intelligence policy. He was Consul-General in Noumea, Ambassador to Vietnam, Director of the Foreign Affairs Victorian regional office and Deputy High Commissioner in New Zealand. He worked as a training consultant to a number of government departments in Canberra from 2000 to 2002. From 2002 to 2004 he was a member of the Refugee Review Tribunal in Sydney. He has been active in voluntary organisations in Sydney and currently co-convenes a seminar on leadership in diplomacy at the University of New South Wales. He graduated with first-class honours in history from the University of Queensland and later obtained an M.Phil. in international relations at the London School of Economics.